It’s time to bust the myths that keep people from exercising. 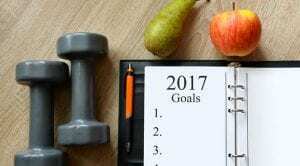 “Exercising more” often tops the list of New Year’s resolutions, only to find itself atop the list of broken resolutions soon after. What’s your excuse? Here are six common myths that keep people from starting or sticking to an exercise routine, as well as reasoning to help overcome them. “I’m too busy.” The current recommendation for adults is at least 150 minutes per week of moderate activity, which can be achieved by exercising for 30 minutes five times per week. If you can’t find 30 minutes in your schedule, break the routine up. Try three 10-minute workouts. Any movement is better than no movement at all. “I don’t like exercising.” You don’t have to join a gym or attend a class unless you want to. Physical activity can mean walking, swimming, biking or even gardening. Find an activity that you enjoy. “I’m too tired.” Physical activity actually reduces fatigue and boosts energy levels. You’ll feel less tired in the long run. “My health isn’t good enough to allow me to exercise.” Very few health problems make any physical activity out of the question. On the contrary, exercise can provide relief from many health issues. Talk to your doctor about developing a safe exercise routine. “Exercise is painful.” Remember the goal isn’t to run a marathon by month’s end. Work with your physician or a personal trainer (ask for referrals) to develop a routine that fits your current health and future goals. “I’m not athletic.” Not everyone who is physically fit is an athlete. Physical fitness comes in all shapes and sizes. Schedule an appointment with your Carolina Specialty Care physician today to discuss implementing an exercise routine that you can stick with in 2017.